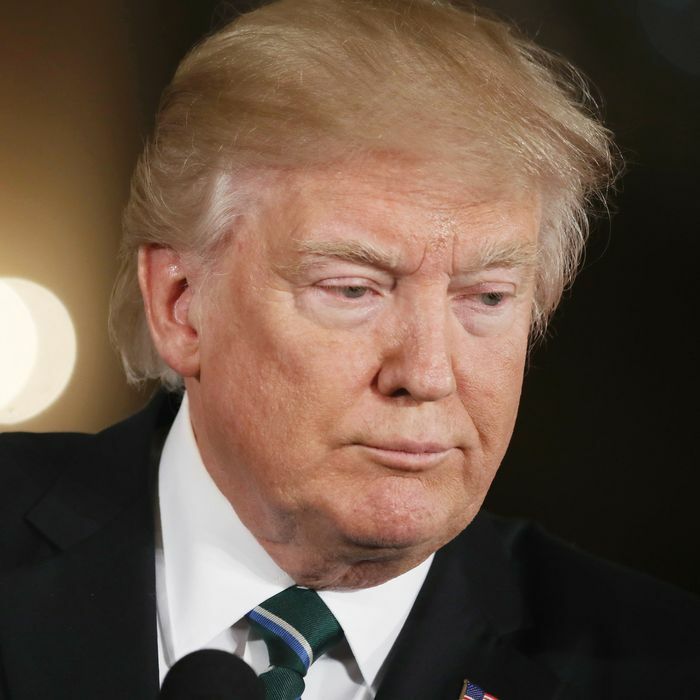 President Donald Trump’s approval rating has dipped down to 37 percent only two months after his inauguration, lower than any president’s approval rating at this point in his first term since Gallup began tracking such things, in 1945. Everyone knows Trump likes breaking barriers, but this seems ill-advised. Gallup also shows the president’s disapproval rating at 58 percent, which is more than double President Obama’s at this point in his first term. If you’re expecting Trump to cast doubts on this poll and disparage those behind it, it appears it’s already happened. Of course, Trump got some details wrong. A Monday-morning tweet about a poll from “fake news CNN” appears to be referencing the Gallup poll, which CNN reported on. No wonder a recent PPP poll found that voters find CNN more credible than Trump.